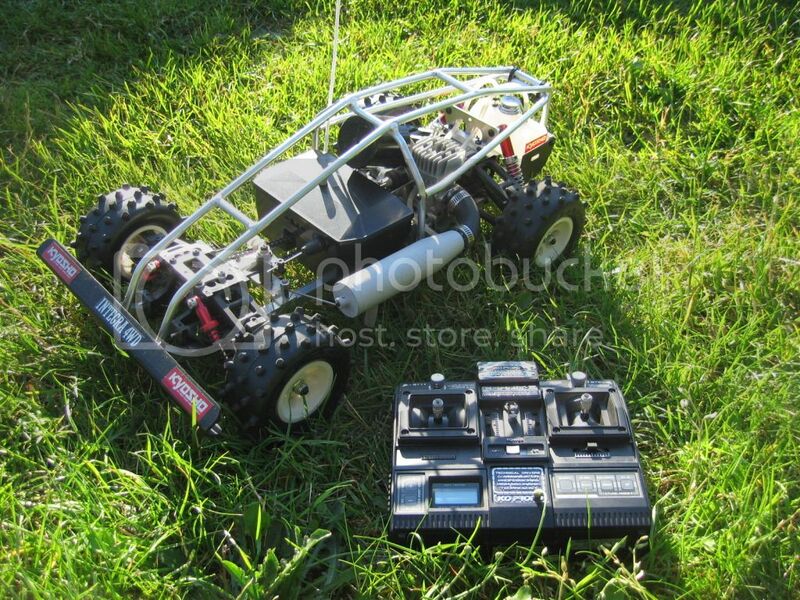 Anyone here drive or race electric/nitro r/c cars? These thigns are pretty sweet anyone have any photos? I would like to get into them some day, its just mad expensive first starting out. between a remote and the car. 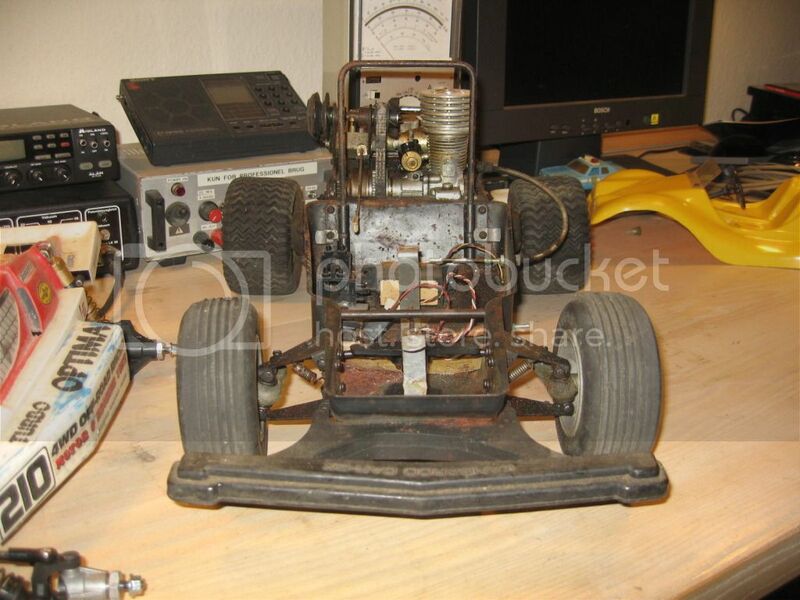 Well i know your talking cars , but I had a Prather tunnel hull boat with an 11cc engine and it was a riot. It was approx 36 inches long , but didn't corner well . When it got up and planed it was passing vehicles on the highway lol. Now you hit one of my weak spots . 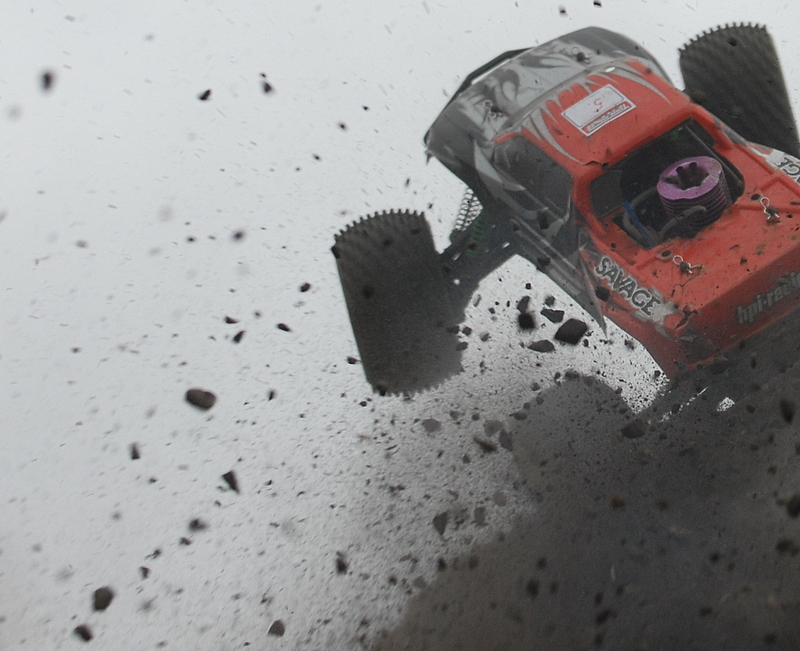 When my T/A build drives me absolutely crazy and I need to think of something else, i turn to the RC cars. 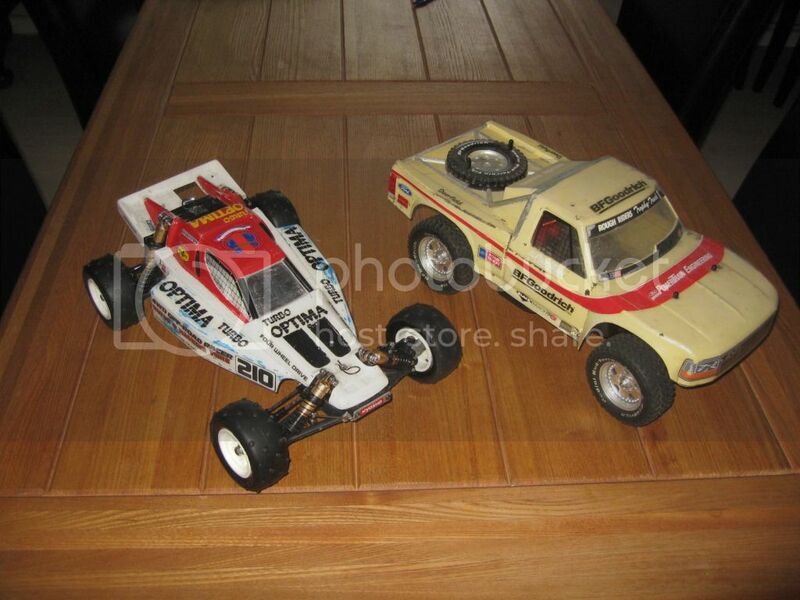 I really like the vintage ones, that I remember not being able to afford as a kid. I'm currently in the process of restoring a couple of them. This post will be pic heavy! 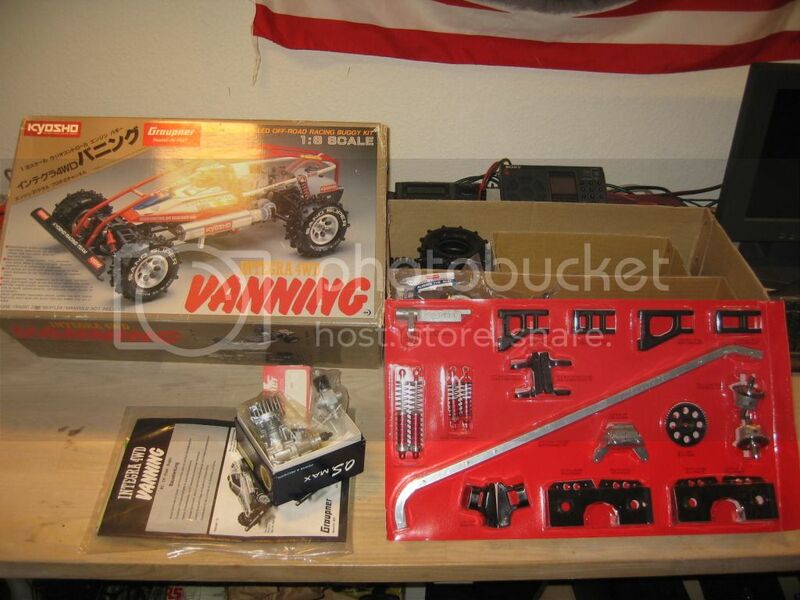 Kyosho Vanning 1/8 scale, .21 nitro engine, chain drive, 4WD. Bought this recently. It had been stored unopened since 1986. 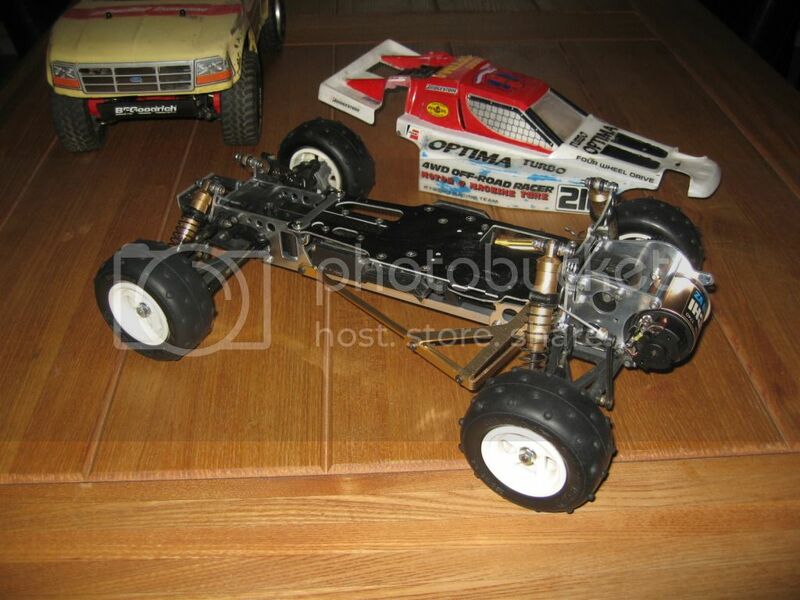 It was great fun to build, and it's insanely fast! 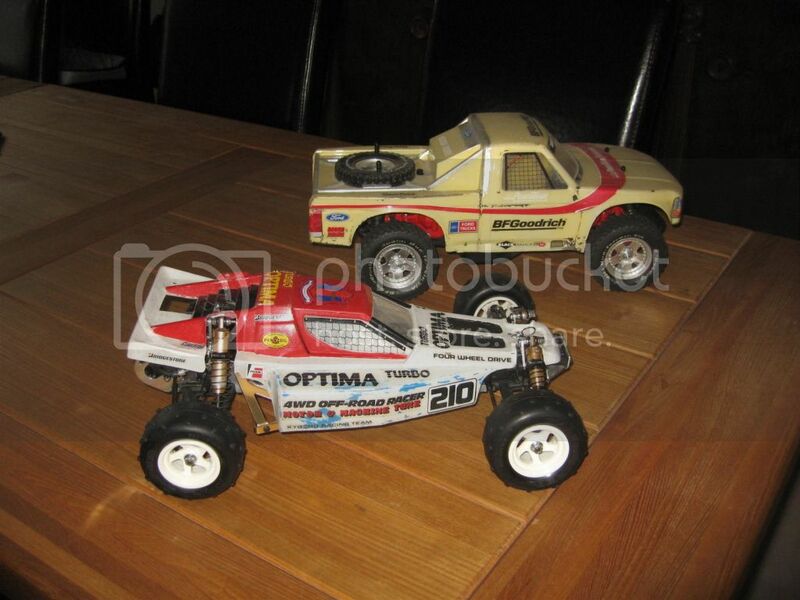 1986 Kyosho Turbo Optima and 1994 Tamiya Ford F-150, both electric 4WD 1/10 scale. I bought the Optima from a friend of mine. 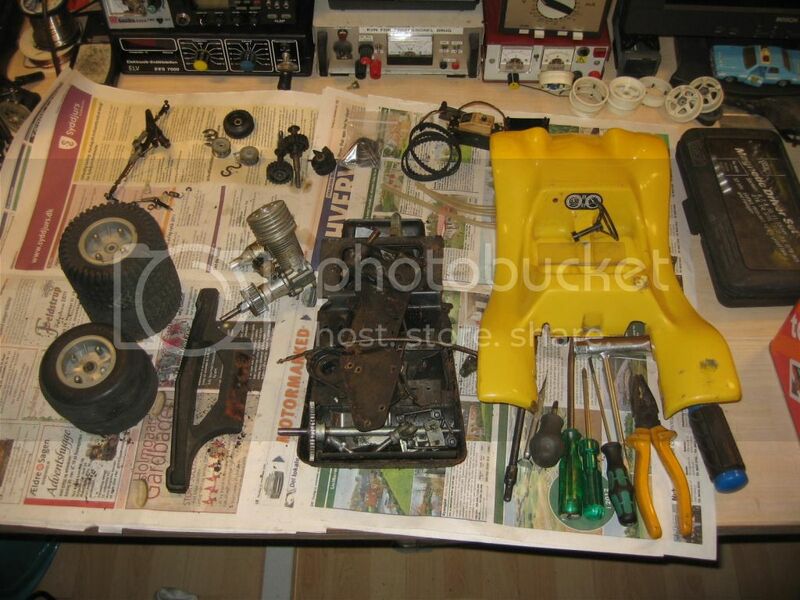 It was a pile of dirty worn parts, the gearbox and chain sprockets were completely shot. 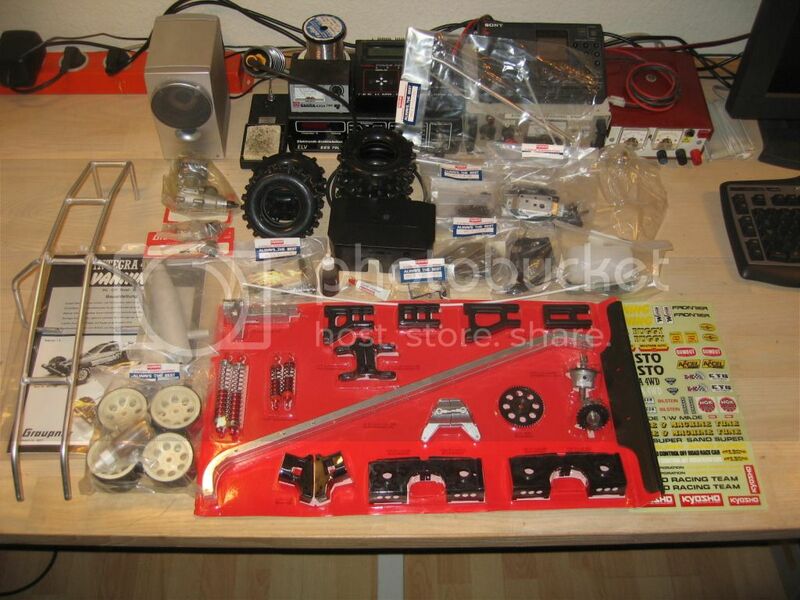 I managed to find new parts on ebay, the only parts missing now are the driveshafts and motor pinion. 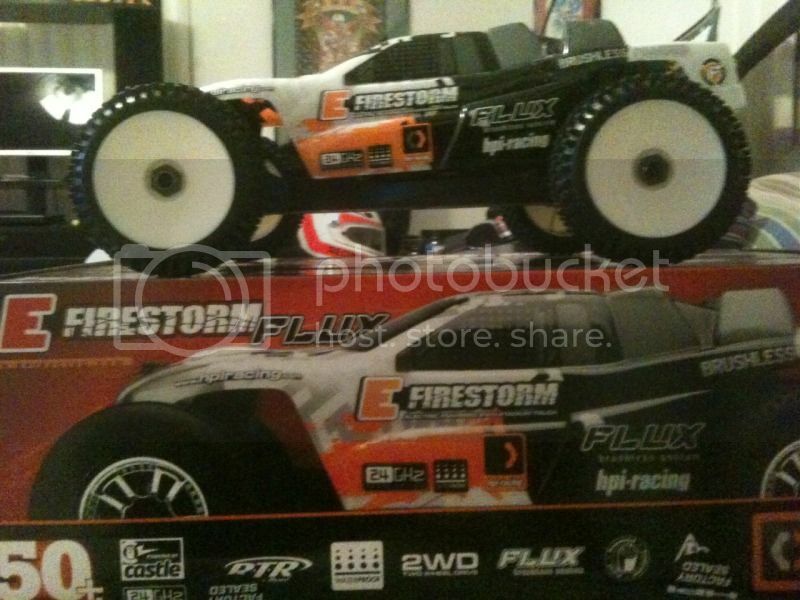 The F-150 is my first kit RC car. 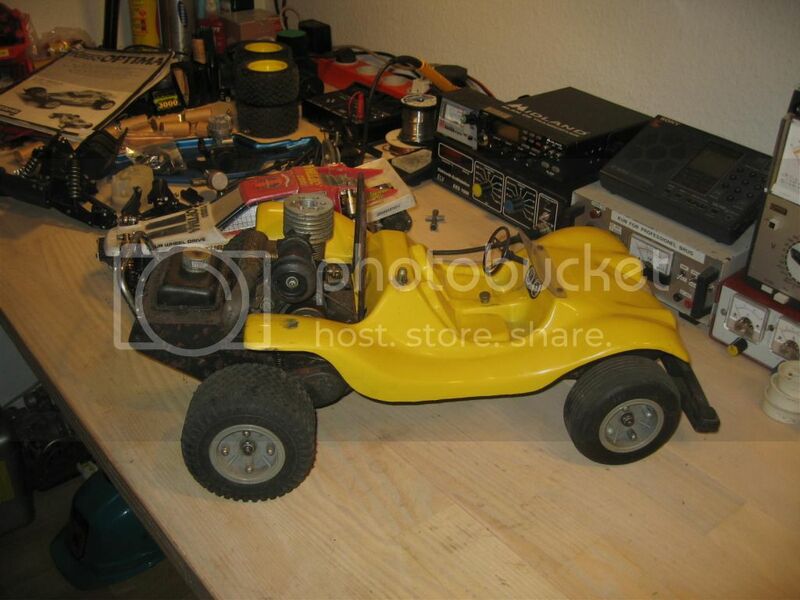 When I find the receiver and servos for it, I will take it for a spin again. 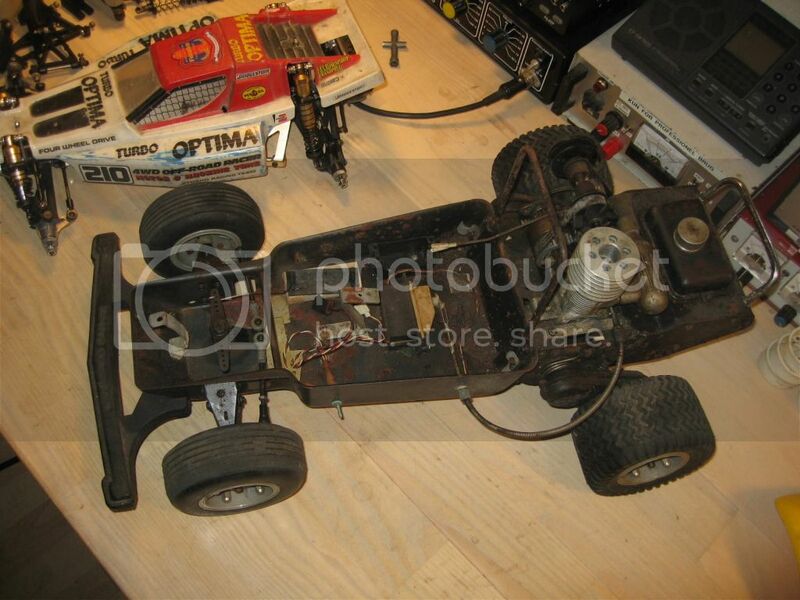 I kind of lost interest in it, when I got into the larger nitro and gasoline cars. Fortunately, I didn't part with it then, and I'm not going to. 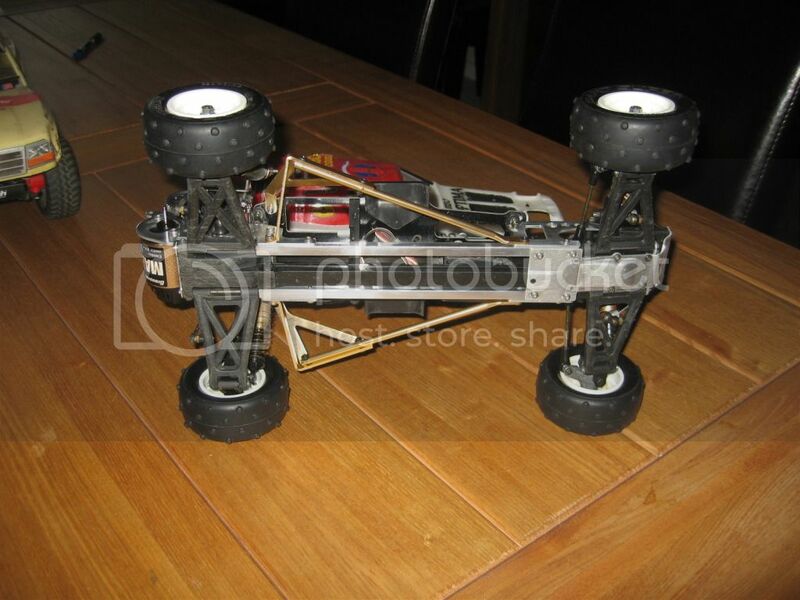 Early 1970's Spital Cangaroo Car GX 1/8 scale. 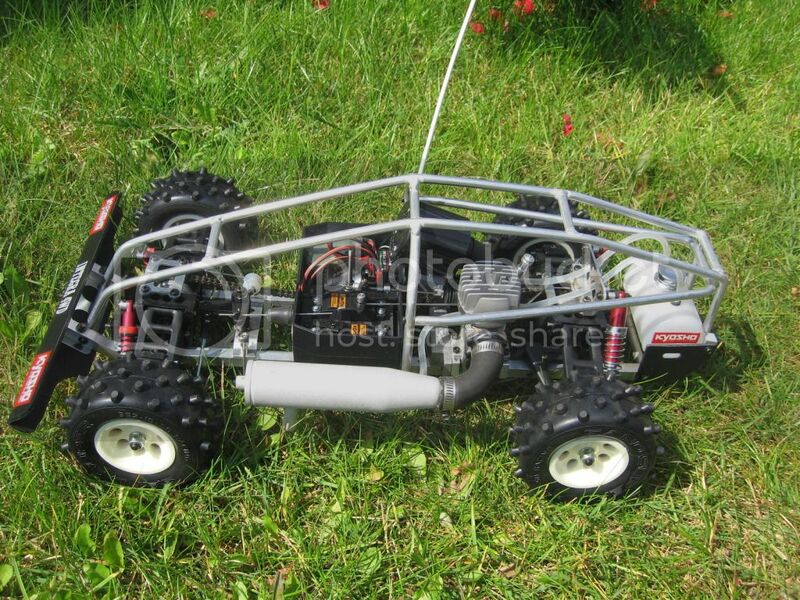 .25 nitro engine, RWD. Bought this about a year ago. 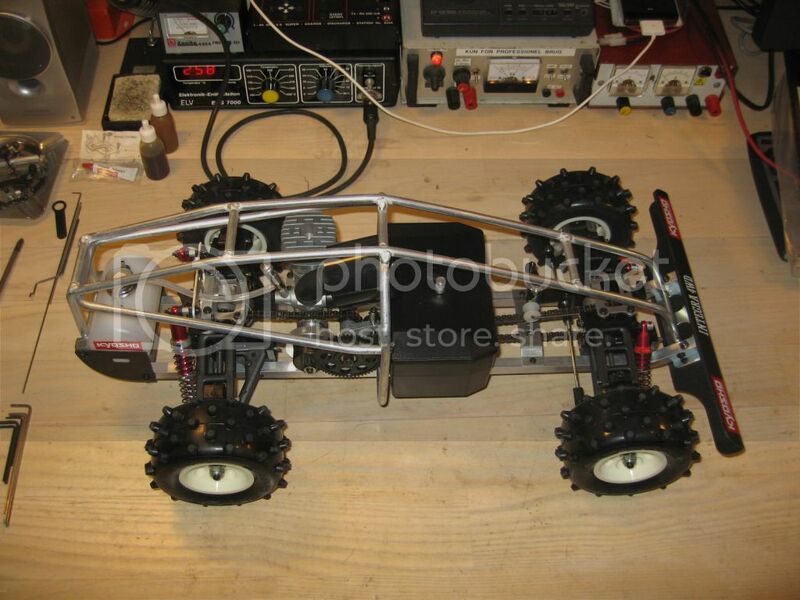 I took it apart, sandblasted and painted the chassis parts, cleaned the engine and installed new bearings. Right now it's temporarily on hold. 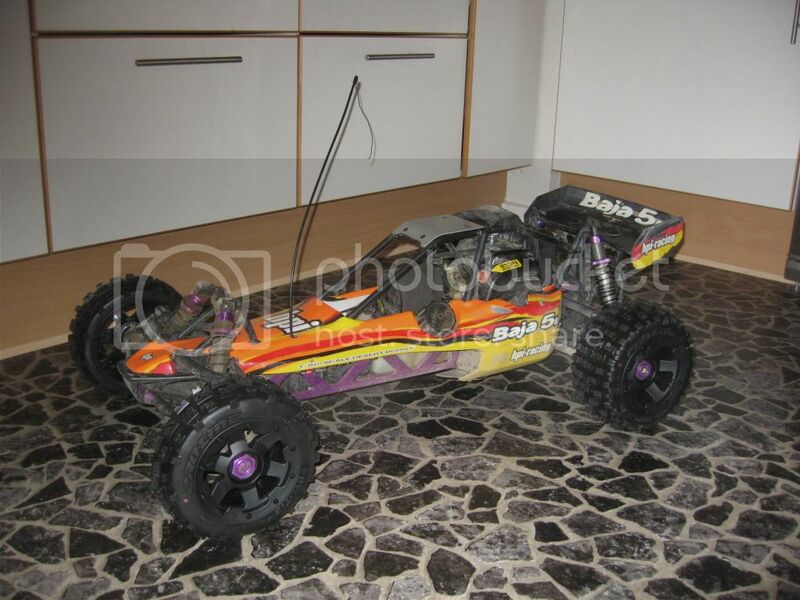 OK, now for the last one: 2007 HPI Baja 5B 1/5 scale (huge), 29cc two stroke gasoline engine. An absolute blast to drive. Very durable and easy to maintain. 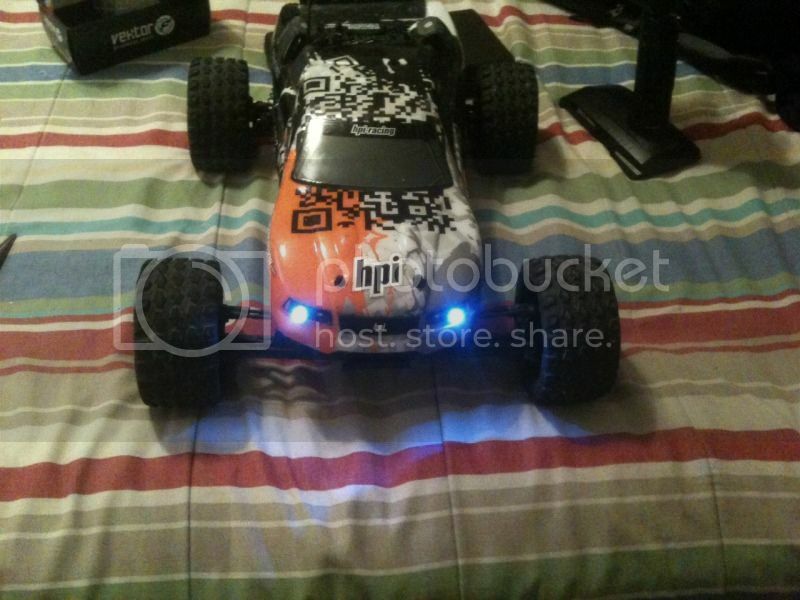 LOTS of parts and upgrades available. Wow it's been years since i've seen any of those! Painted it to match my 2001 I only found it because I was looking for a 79.. 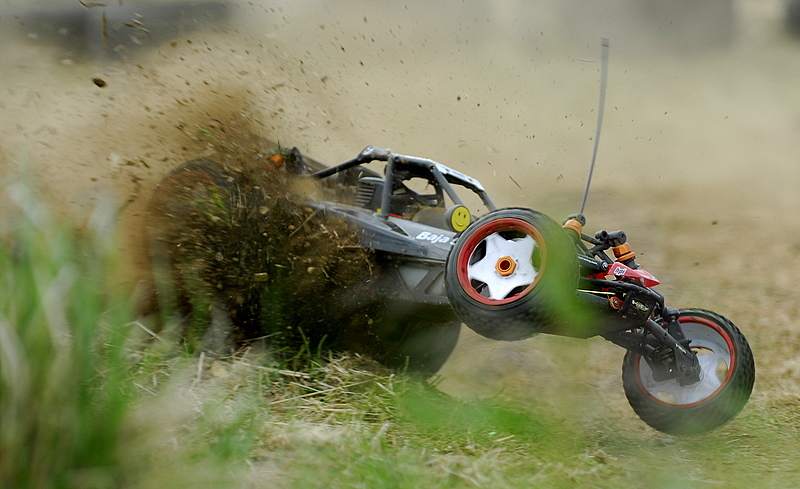 I don't do RC cars, but I do fly RC airplanes! 76 White w blue int. 400 4sp. "Toastee"
we race short course trucks around here. some fun for the winter. this is actually where we race. 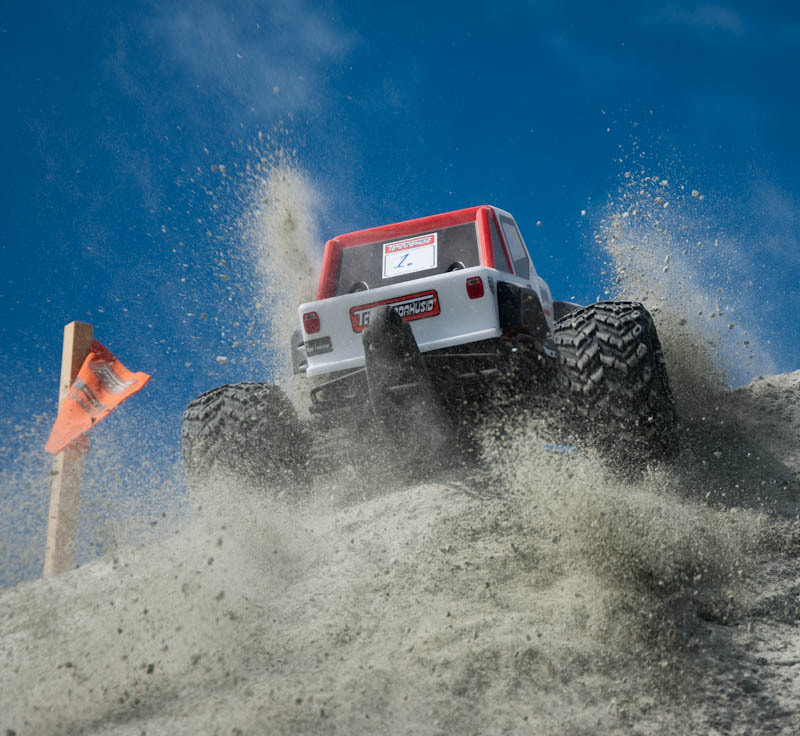 it can get rowdy. especially when we have a few golden delicious drinks.